The NorthStar Media Group Leadership Forum is an invitation-only annual event that brings business leaders and elite planners together from the MICE and travel industries. Attendees included executives of BI Worldwide, Delta, ITA Group, Maritz, Motivation Excellence, Norwegian Cruise Line, Royal Caribbean International, and Silversea Cruises to name a few. 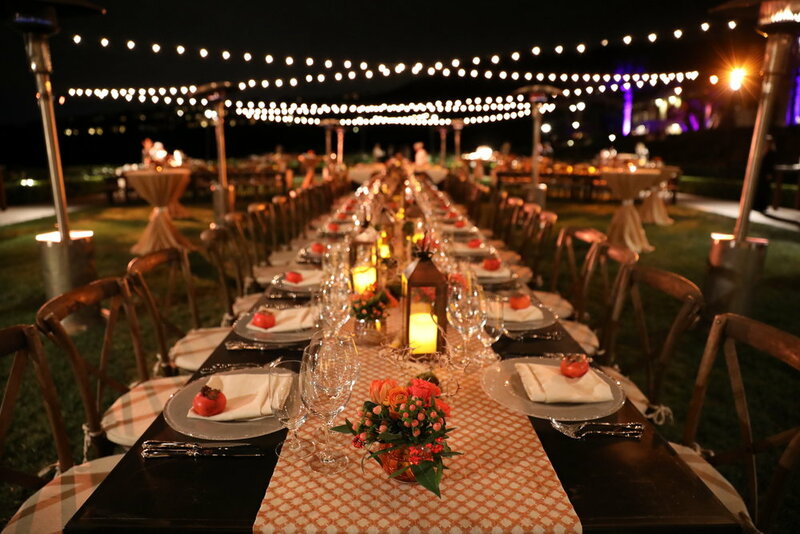 The Leadership Forum is Northstar’s pinnacle event - a 3-day summit located in the incredibly-picturesque Pelican Hill - the perfect canvas for Events Design At Sea powered by Cacique International. Events are all about the who’s-who, and this was a pretty giant WHO. The three-day, invitation-only experience included dynamic education sessions, exciting leisure activities and exclusive networking opportunities with the top brass in the industries. Speakers included Roger Dow, President & C.E.O. of the U.S. Travel Association; Nan Marchand Beauvoir, Managing Director of Meetings Mean Business; and Theresa M. Thomas, Senior Vice President of iJet International amongst other top-tier thinkers. As for the “who” in charge of the event, the little blue engine of Events Design at Sea, powered by Cacique International was honoured to orchestrate the experience with our unique brand of creativity and an enduring promise to go beyond the expected and into the world of the extraordinary. “Just Imagine” is more than a tagline for us at Cacique International. As event designers, we trade in imagination. We ask our clients to imagine the possibilities and then create an experience that transcends their expectations. This is what we call the Cacique Magic. This magic is composed of a myriad extra touches that take the event beyond what was expected and into the realm of the extraordinary. Extraordinary for the client and guests, not only in venue, design, décor and entertainment, food and beverage - but equally-importantly in the ease of flow of the narrative, the invisible but essential threads that make the magic happen all around them. Made popular in the 1930s, The Little Engine That Could was most noted for its optimistic protagonist, The Little Engine, and its endearing chant, "I think I can. I think I can. I think I can."